25 x 25 CM	10"x10"
50 x 40 CM	20"x16"
75 x 50 CM	30"x20"
With Acrylic Prints, Your Pictures Stare Back at You! 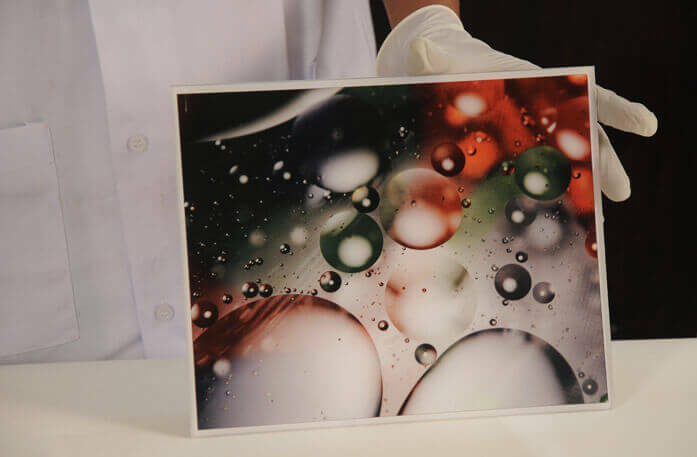 Acrylic photo printing breathes life into your images, giving them realistic qualities by enhancing their colours and making them more vivid and striking. 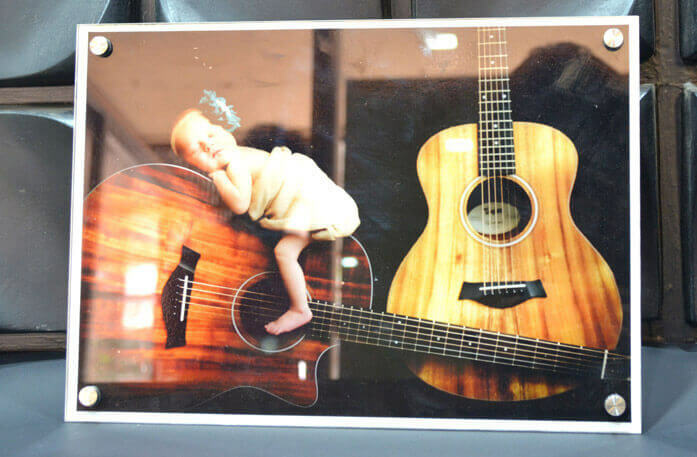 Acrylic photo prints have the ability to make an already brilliant image even more brilliant. It has the same effect on ordinary images. 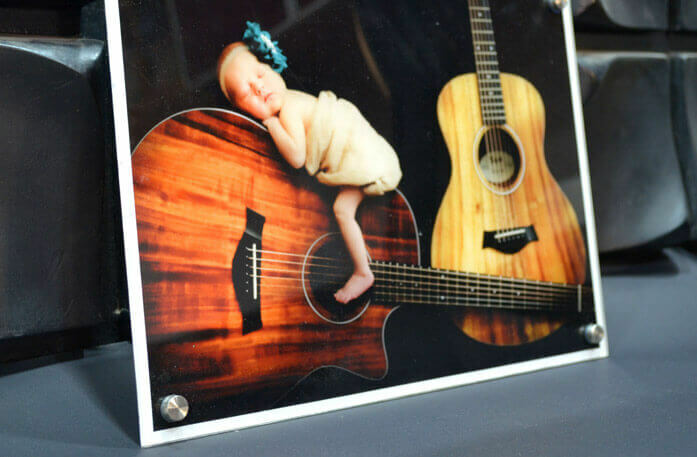 If you have taken a heart-warming image, but it did not turn out as you hoped, you need to convert the image to an acrylic print. We have the technology and the material to transform an ordinary image, making it the centre of attention of your room. 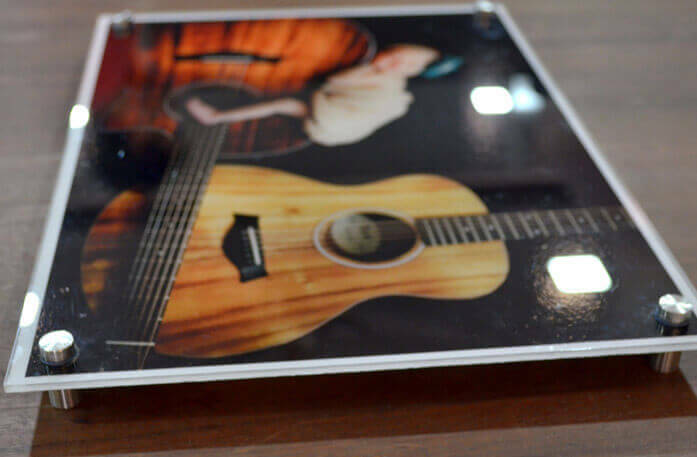 If you are okay with the image stealing all the glory and attention, you should opt for acrylic photo prints for sure! 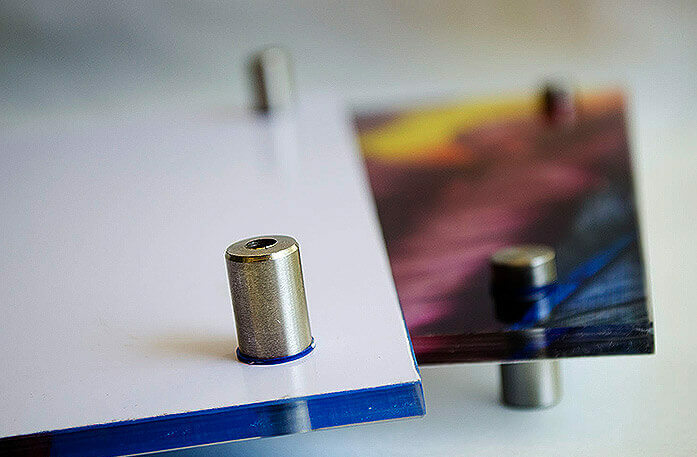 Why Should You Choose Prints on Acrylic? Where should you display your acrylic prints? Since the image, when converted to acrylic, becomes more vibrant, you can add it to any dull room that could use a splash of colour. You can display it in your living room, your home office, kitchen, and place that you think could you a little livening up. 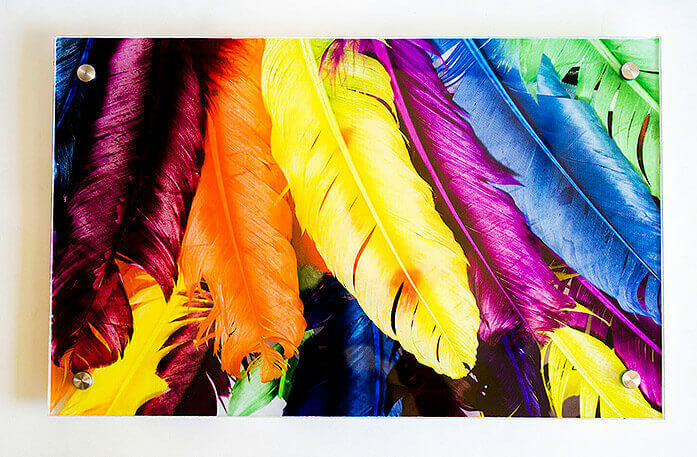 With our acrylic photo printing, you can go as large as you want, all the up to 55 X 55 inches. If you want to customize the print, we can make that happen! Hanging and Framing - See Your Choices; Make Your Selection! You can choose from a number of different frames and hanging options for your image. You can choose a frame depending on the colours of your picture and the colour theme of your decor. Select a hanging based on how you want to display it. Note that the hanging option is only available with the frameless option. Give your acrylic print a bold display with a quality black frame. 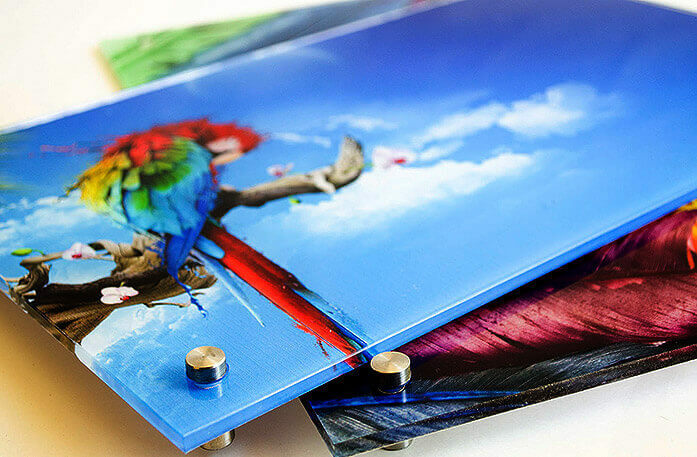 It will compliment the sharp striking colors of your acrylic print and give it an amazing appearance as a piece of art. A brown frame will soften the effect of your sharp resolution acrylic print. Opt for the sophisticated elegance of the brown golden frame, which will project your picture as a piece of modern art. Give a classic look to your acrylic image print by opting for a golden frame. Or you can opt for a unique look by not opting for any frame at all. It all depends upon the style that you want! If you wish to hang the acrylic print in your home or office to add style to the indoor environment, then select our Front Mount. Don't want to add any effects to the image? Just go for the original image option. If you want to give your striking acrylic print a sepia effect, then choose the option for an amazing result. If you want your image in great shades of gray, then opt for this amazing result option. Make Your Images Life-like with Acrylic Prints! In this final step, just provide us with the detailed size dimensions of your print image and we will provide you with a high quality, sharp and detailed image, specifically designed to your customized requirements. Ask about Acrylic Prints and get answer in email. *What do you want to know about Acrylic Prints? Q: Is there any option of lamination available in acrylic prints? A: Yes there is an option for lamination. 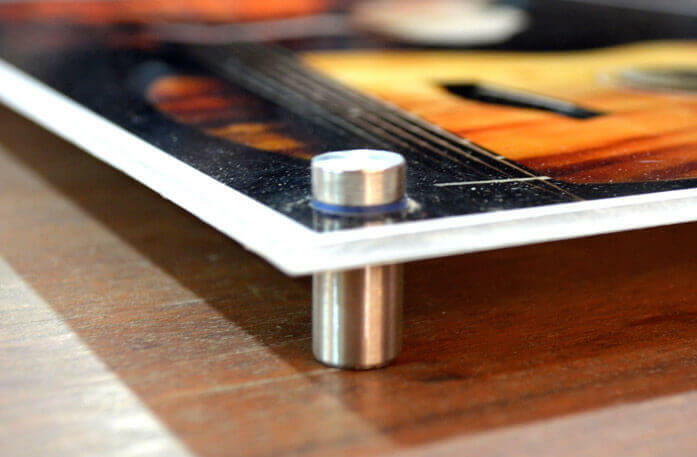 Q: What is the thickness of the frames in acrylic prints? 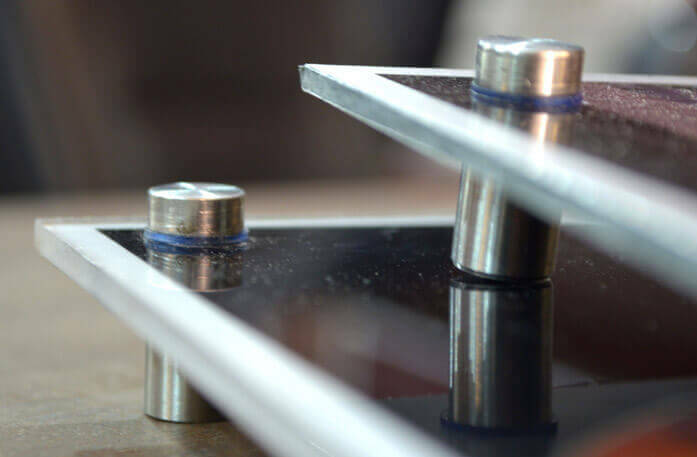 A: The thickness would be 0.5” to 1.5” depending upon the size of the acrylic print. Q: Can I get hanging options where it doesn’t show on the front side of the acrylic print? A: Yes, You can avail to it by mentioning your request on the comment box which will come during the ordering process. Q: Can I hang my acrylic print outside my house/ office, anywhere outdoors? A: Yes, they can be hung outdoors since it is an acrylic prints, there should not be any adverse effect on it. Avoid placing it under direct sunlight for prolonged periods of time. Q: What do I do if I get a damaged acrylic print? A: We hold quality as our top most priority but if you are not satisfied with our product then we can always send you a reprint. You can send us your request for reprint on CS@canvaschamp.co.uk. Q: What is the largest size in acrylic prints that you can do? A: The largest size in acrylic prints that we can easily do is 54” x 54”. Q: Are they scratch and dust proof? A: No they are not scratch proof and hence they need to handled carefully in order to prevent it from coming in contact with any sharp or pointed objects. If they are placed outdoors or at a dusty place then chances are that some dust might get accumulated on its surface. It can be simply cleaned with a soft damp cloth. Q: What hanging options are available for acrylic prints? 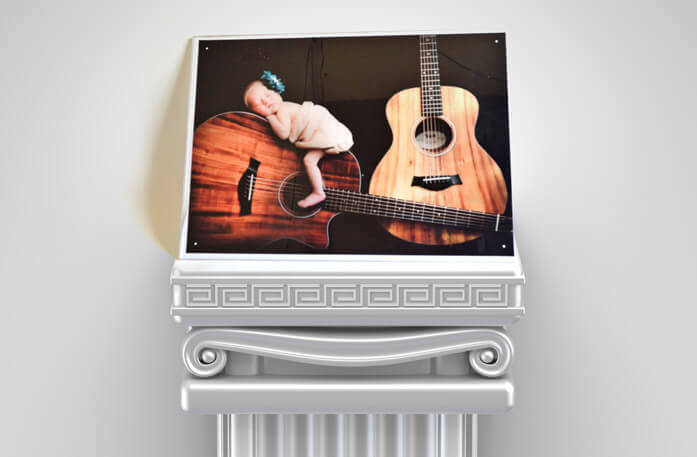 A: By default there is no hanging kit included with the acrylic print, but you have options to add either a wall mount hanging kit or a wooden easel back stand from our website. 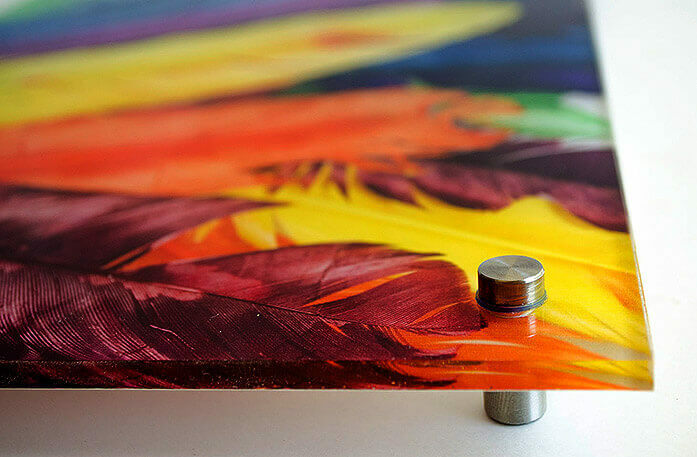 Q: What type of material is used in acrylic prints? A: It’s done on a crystal clear/transparent plexiglass.